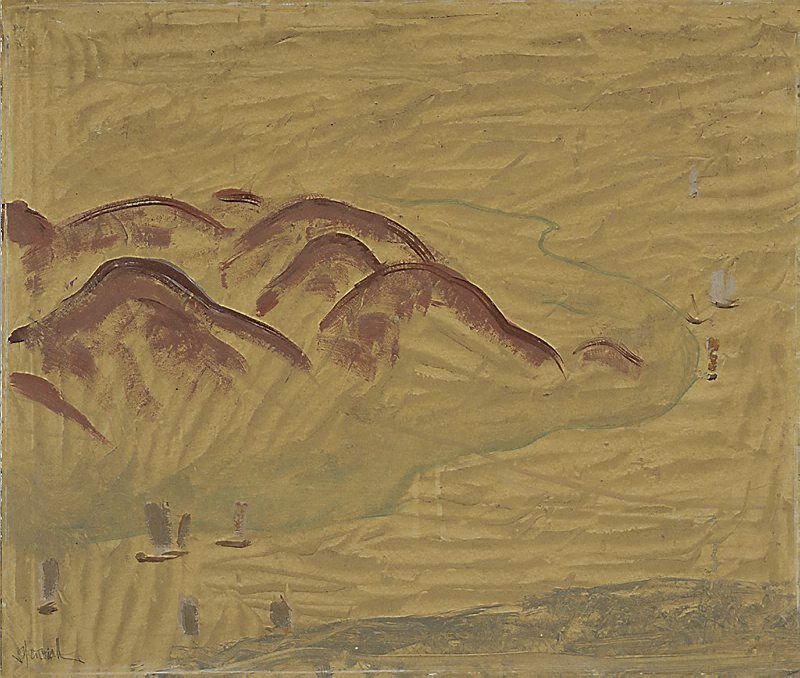 'West Lake, Hangchow' is a fascinating hybrid between visual cultures, made during the formative part of Fairweather's career after he arrived in Melbourne in 1934. The work clearly reflects something of his Asian experience but also his interest in Post-Impressionism, especially the work of Cézanne and Van Gogh. This passion was shared by other local artists including William Frater, Arnold Shore and Lina Bryans, who strengthened Fairweather's growing interest in the movement. Signed l.l. corner, pencil "I Fairweather". Not dated. Ian Fairweather , Sydney, 1981, 33, 36 (colour illus. ), 231. cat.no. 18; plate no. 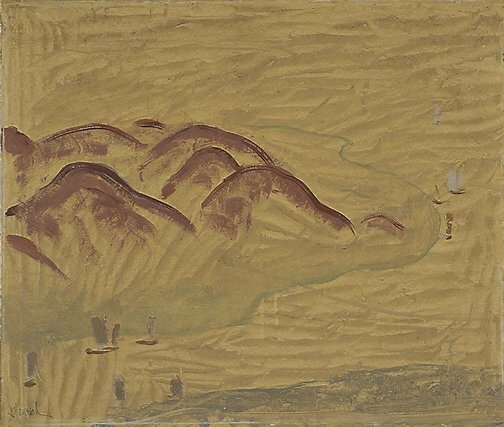 9; titled '(West Lake, Hangchow)'; Collection of Lina Bryans, Melbourne. Barry Pearce, Look , 'Ian Fairweather's Chinese encounter', pg. 28-31, Sydney, Aug 2004, 30 (colour illus. ), 31. Jill Sykes, Look , 'The Chinese factor: China's indelible impression on Ian Fairweather', pg. 10-11, Melbourne, Nov 2001, 10, 11 (colour illus.). Anothony White, The Cambridge companion to Australian Art , 'Foreign natives: Australian Modernism 1915-1919', 109-121., Port Melbourne, 2011, 115.